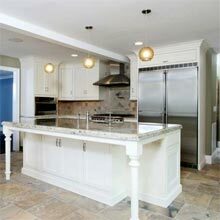 Chris Duncanson Custom Carpentry really should be your first choice for custom kitchen remodelling in Austin, Texas. We build our own custom cabinets and do all types of built-ins, full custom closets and full trim carpentry services. We offer a complete kitchen design service and complete remodelling services. 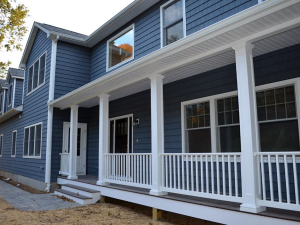 We tailor all our projects to each individual customer. 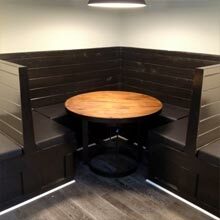 As a custom remodelling company Chris Duncanson Custom Carpentry know each customer is different which is why we fit each project to each customer. Our cabinets are custom built to order. Nothing is bought in and all work is built to your needs. 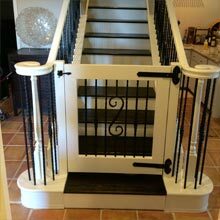 We pride ourselves on using only high quality materials. No particle board, all real wood veneers with real hardwood doors. 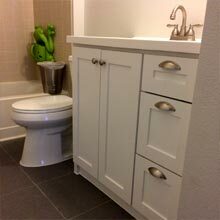 All our cabinets come standard with soft close doors and drawers and the best hardware available.